The ghost, ghouls and goblins are out, but if your air conditioning and heating system is making a scary sound it’s time for a system replacement! We are Climatech Air and your Savannah, Georgia comfort specialist. Right now, we have a special deal going on for the entire month of October on the Bryant New Evolution comfort system. We know you rely on your heating and air conditioning system to keep you warm in the winter and cool in the summer; that is why it is so important to replace your system now before a major breakdown happens and leaves you and your loved ones stranded without heat during the cold winter months. Read below and see how a pre-season system replacement would benefit you. Here are five main reasons to replace your air conditioner and heating system. If you are experiencing any of these, it is time to have your system replaced. When you take advantage of our Preseason System replacement deal, you will receive many benefits. Once your air conditioner and heating system reaches 10+ years it has a hard time keeping up with the demands of keeping your home cool or warm and starts to run more frequently becoming less efficient. With a new unit, your air conditioner and heating system will come with a limited warranty be more efficient and up to date with Five Star Energy recommendation. You will also experience a cost savings with lower utility bills, but most of all you get peace of mind that your comfort system is one that you can rely on. Climatech Air offers a free replacement verses repair estimate and never recommends a system replacement unless it’s needed. If we find that you would benefit from a system replacement, our factory authorized installers will guide you in the equipment sizing and SEER of air conditioner and heating system that fits your needs. 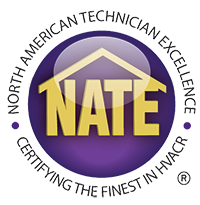 We take pride in offering the highest quality customer service and installation in the business. 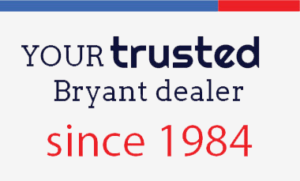 We have been serving the Savannah community for over 30 years and are proud to be Bryant comfort specialist. Now is the time to have your comfort system replaced before the winter season approaches. Don’t’ be scared of your air conditioner and heating system this Halloween, call Climatech Air!